ONE-OF-A-KIND LUXURY LOFT PENTHOUSE CORNER UNIT W/SUNNY, UNOBSTRUCTED SW LOOP VIEWS! QUIET CONCRETE UNIT FEATURES 20' TERRACE+DESIGNER DRAPERY-SHADES/CABINETS-BACKSPLASH/ WALK-IN CLOSET. SS APPL,GRANITE, MARBLE, LIMESTONE, U/MNT SINK, SEP SHOWER, W/D,8 SPK SURROUND SOUND & MORE! ASM INCL HEAT, A/C CABLE, T1, DOORMAN, GYM. HEATED GAR PRK AVAIL $30K+$65 ASM. 900 N Kingsbury St. #1169 Chicago, Illinois 60610 is a loft property, which sold for $440,000. 900 N Kingsbury St. #1169 has 2 bedroom(s) and 2 bath(s). 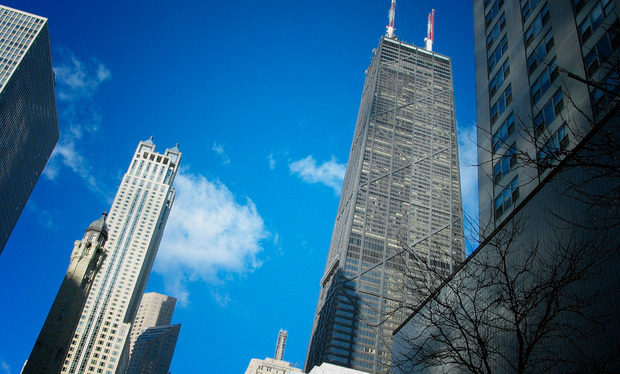 Want to learn more about 900 N Kingsbury St. #1169 Chicago, Illinois 60610? Contact an @properties agent to request more info.